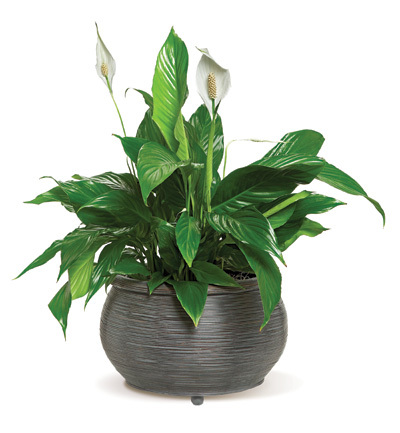 The towering blooms of the Spathiphyllum plant, also known as the peace lily , mirror the lancet shape of its glossy, deep green leaves. A hardy and showy houseplant, it will remind someone of your thoughtfulness. A lovely way to say I care.